This post is sponsored by Babbleboxx on behalf of VICHY. How many times have you been told to reach for the Vitamin C when attempting to fight off, or prevent sickness? 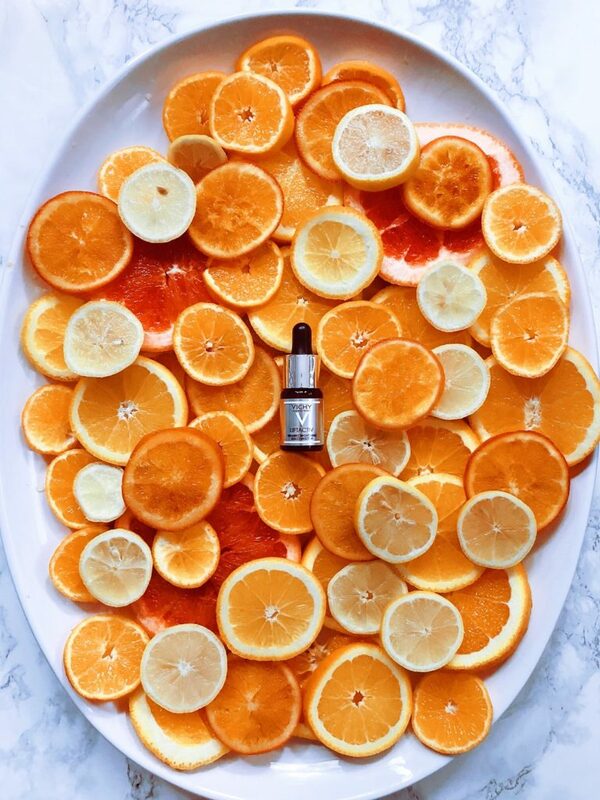 Did you know that Vitamin C, in its powerful antioxidant serum form has quickly become a hero product in a solid anti-aging skin care routine? 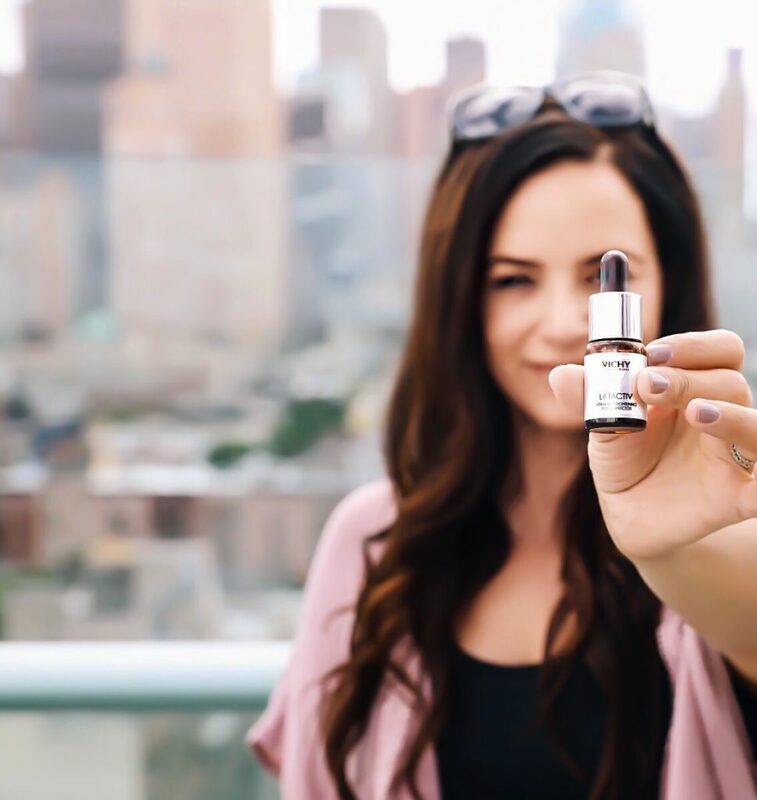 It has been proven to help fight dullness, hyperpigmentation and visible lines by packing a concentrated level of nutrients onto the skin while helping to halt the accelerator on the overall aging process (sign me up, please!). 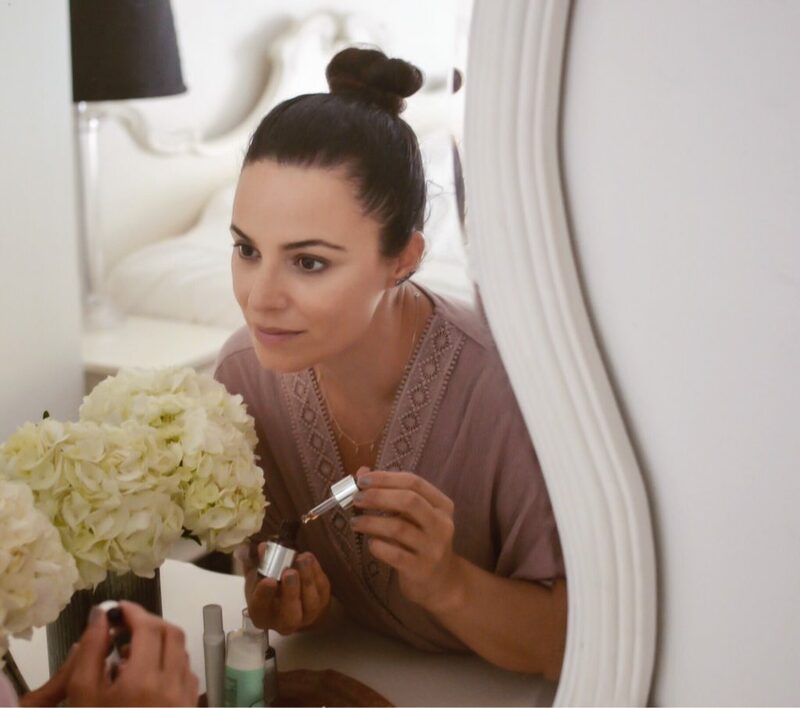 Last week, I was lucky enough to take a break from surf-camp-chauffeur to indulge in morning Pilates and a facial perched atop the city – while learning all about VICHY‘s new LiftActiv Vitamin C Serum: Brightening Skin Corrector. Sunspots and overall dullness are my biggest skin issue. 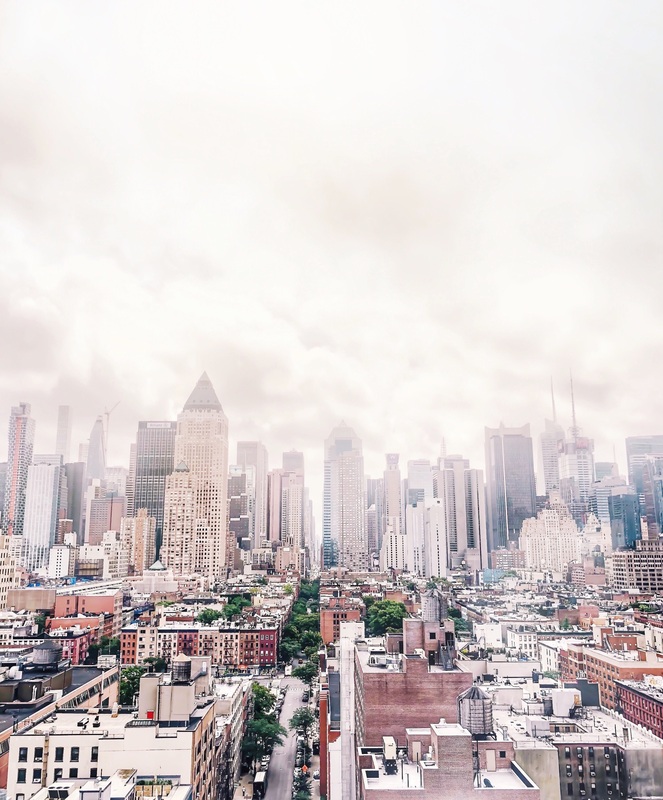 I’ve certainly had my share of skin-careless years, and it’s no secret that I spent a portion of last winter receiving several laser skin care treatments to help correct sun damage and sunspots with a top NYC Dermatologist. Thrilled with the results and a new skin care regime, I also left with quite the education in Vitamin C. Since my treatments, I’ve been applying a Vitamin C serum every morning before moisturizing and applying sunblock, but the hefty serum price tag never sat well with me. Since VICHY is among the list of brand recommendations that I received with my laser treatments (and the ONLY brand that my derm recommended at a reasonable price point) – I couldn’t wait for their breakthrough Vitamin C Serum to hit shelves. 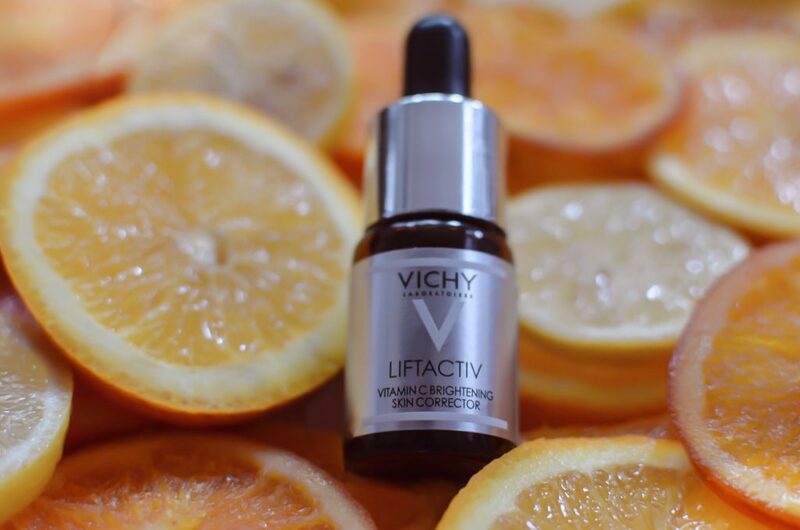 VICHY LiftActiv Vitamin C Serum: Brightening Skin Corrector, is officially here, combining 15% pure Vitamin C with natural-origin Hyaluronic Acid. I learned from the VICHY team that you won’t find this HIGH dosage of pure dermatologist grade Vitamin C at such a great price ($28.50, yay!) anywhere else. Despite my diligent sunscreen and hat-wearing, my skin will always be prone to hyperpigmentation. And since we are all about the ocean life during the summer months, a great skin care routine is especially crucial in prevention and overall brightening. I’ve been using my new VICHY Vitamin C Serum, daily, for one week and I can already see impressive improvements. I wake up to what feels like my best-looking skin, and a pesky post-pimple mark is even gone. 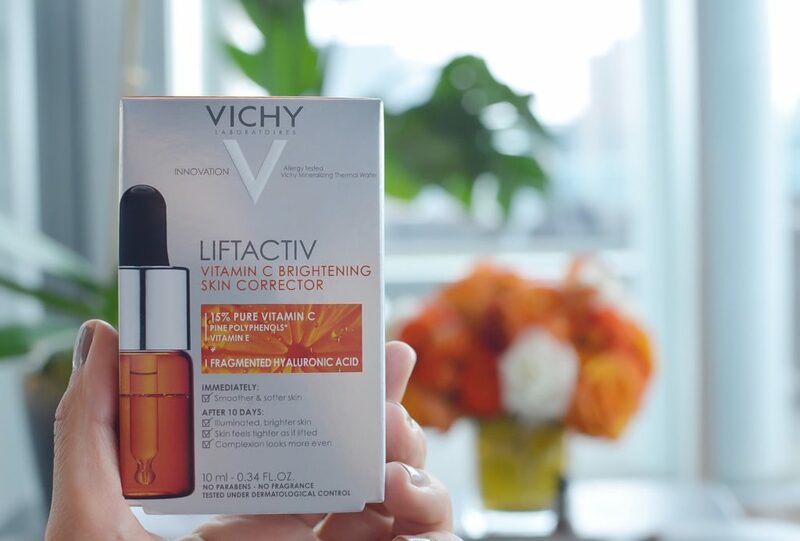 I learned that unlike other Vitamin C products, Vichy’s serum is comprised of their signature proprietary Mineralizing Thermal Water that so many know and love about the Vichy brand. This water is naturally rich in fifteen minerals to help protect against oxidative stressors and environmental aggressors. In addition to the serum, I was introduced to VICHY Mineral 89, which I learned to layer over my VICHY Vitamin C Serum to really secure in the serum’s potent Vitamin C, along with sticking to an evening retinol regime. Like so many moms I know, I care about quality ingredients for myself and my family. One of the reasons why this product is the right fit for me is because it is free of parabens, fragrance, silicon, and oil. It is also suitable for sensitive skin, which I sometimes deal with, especially during the colder months. Want in on brighter, firmer skin, with a product that’s clinically proven to produce results in just ten days? Grab your supply for 20% off and free shipping HERE until 9/30/2018 (with Discount Code: BABBLEBOXX). Give this one a go and you’ll thank me later! I like that it doesn’t have oil. That surprised me actually. And hurrah for finding a serum with a cheaper price tag that works! Even better with the 20% off. I also love that there is no oil. Vitamin C just sounds refreshing. This is definitely something I would want to try and with the 20 percent off, its a win/win. My skin is sensitive, so I like that it’s safe for skin like mine. Vichy sounds like a product I need to get my hands on ASAP! I definitely have years of sun exposure I need to fix now. (Oh, my careless teens and early 20s!) Definitely going to check this out – thanks for the discount code! Ugh my skin. My poor, poor skin. I for sure could add this to my routine because it sure needs it. Looks great and I will for sure take advantage of the code! From your photos, your skin looks like it’s absolutely radiating! I have to start using Vichy products more often – I hear nothing but good things about their stuff. Thanks for sharing the discount code. I could use a serum like that. I love that it is effective and without those harmful additives! Thanks for the review. I definitely know the positive effects on Vitamin C on your skin. Its great this serum has plenty of Vitamin C to rejuvenate the skin. I’ve been using a really pricy version too and need to switch. Maybe after the summer is best to test this one out. The products do sound good but your photos are really what continue to blow me away. Vichy would be lucky to have you create a billboard photo for them! Those oranges and that tiny bottle are just magnificent.